Our school culture and continued commitment to excellence in teaching and learning mean that we are dedicated to improvement. 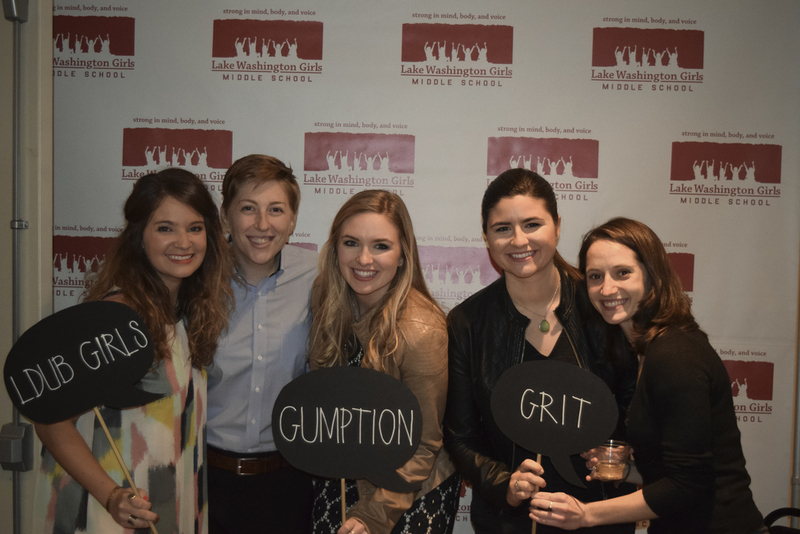 LWGMS is continually evolving and improving – just like our students – while holding fast to who we are at the core. As we crafted our Strategic Plan this past year, we centered around our desire to sustain what we love about L-Dub while being responsive to the changing needs of our students and families. The plan’s three planks – advancing academics, the school, and our community – provide a roadmap for our continued success over the next five years, during which time we will celebrate our school’s 20th anniversary. As we move toward this milestone, it is an exciting time to build upon the school’s strengths as we look to the potential of the future. It has been my great pleasure to get to know, support, and experience L-Dub on so many levels over the past four years. From my first encounter teaching an enrichment program to a group of spunky sixth graders, to chairing the Strategic Planning Committee last year, and now chairing the Board of Trustees, for me, there isn’t a more rewarding way to stay involved with a school my entire family has grown to love. This continued success is the result of our strong community. Many people were instrumental in making the past school year both enriching and inspiring as our girls engaged with the academic, personal, and social joys and challenges of middle school. LWGMS is fortunate to have exceptional support from our parents, grandparents, alumnae, and friends. Our volunteers are engaged with many aspects of the school: events, committees, work parties, supporting the program, and connecting our students to guests and experiences that augment the curriculum. I would like to thank our Board of Trustees for their strategic leadership and stewardship. Our parent leadership is also very strong, and I thank our Fuerza Family Association for their work. And of course, at the heart of our school are our students. LWGMS students had an exceptional year of learning and growing. Highlights of our year together included a three day field trip focused on allyship for people in poverty and homelessness; celebrations and performances such as Festival de Otoño and Festival of Lights; events that cultivate entrepreneurship and innovation such as Startup Weekend Girls and the Seattle Interactive Conference; accolades for the LWGMS Social Justice Film Festival; our enrichment partnerships with Kids in Medicine, Meter Music, and Quantum Martial Arts; community competitions such as Mock Trial, the Environmental Issues Slam, and the First Lego League Robotics competition; service events including ongoing work with Centerstone and St. Clouds Homeless Cooking Project, the Carry 5 Walk for Water, food drives, and bake sales to support Day of the Girl initiatives; a new L-Dub Bike Club; the piloting of a Roots of Empathy program for middle schoolers; a teacher-initiated mindfulness program; and one super fun surprise dance party at school. We are grateful that our students have such rich and varied experiences in which they exercise both creativity and courage. We find joy in this vibrant community and shared purpose: to empower girls to be strong in mind, body, and voice. THE CARY WYATT MCRAE MEMORIAL SCHOLARSHIP FUND was established when we lost our beloved friend and “school mom,” Cary McRae. The money raised for this scholarship enhances our financial aid budget to enable all girls admitted to attend LWGMS regardless of their family’s financial situation. This was a core value for Cary, and we are grateful to continue her legacy. Thank you to the following people who donated to the Scholarship Fund. You enabled us to support our community members receiving need-based financial aid. 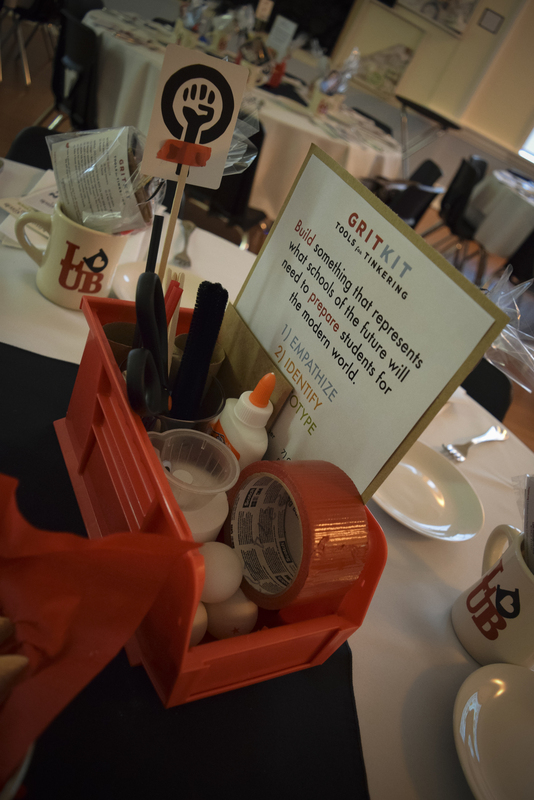 LWGMS was honored to participate in the fifth annual GiveBig! event, sponsored by the Seattle Foundation. 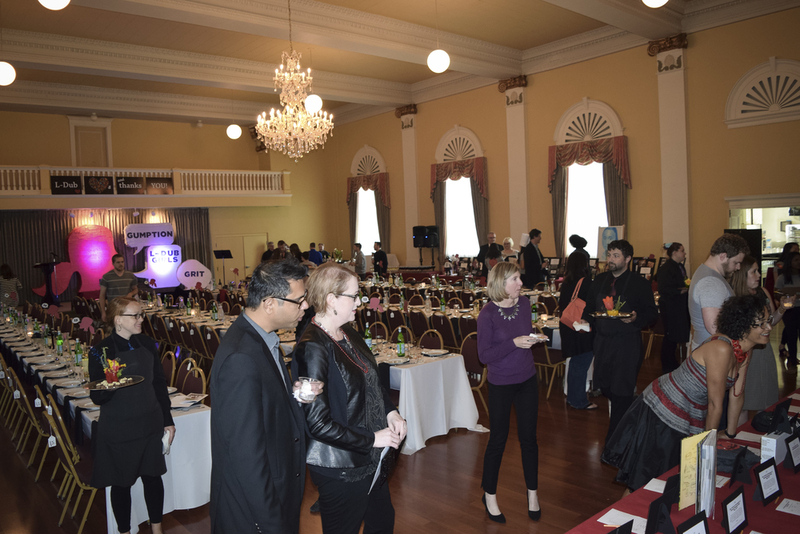 The 2015 event was the most successful yet! The Seattle Foundation raised $16.3 million for 1,700 nonprofit organizations in the 24-hour period, a twelve percent increase from last year. Lake Washington Girls Middle School was the lucky recipient of 27 gifts totaling $2,950, with a stretch grant from the Seattle Foundation of $248.23. Thank you for giving on this exciting day. We are so appreciative! We are pleased to have received donations from the following corporations and foundations 2014-15. Thank you to our donors who initiated these donations. We are always looking for ways to introduce L-Dub to the broader community. Building relationships with women in leadership positions, getting on the radar of individuals with ties to organizations and foundations dedicated to girls’ education, and connecting with prospective supporters strengthens our school’s position in Seattle’s competitive independent school market. We know that experiencing the school in action, and meeting our students in their element, is the best way for people to really get a feel for what L-Dub is all about. Touring a large group through the school has it’s limitations so, along with our Board of Trustees, we decided to host a luncheon on campus. There were eighth grade social justice films to screen, seventh grade students eager to share their experiences on their Fall Service Trip, our student body president was at the ready to represent her constituents, and another group excited at the prospect of being table captains. Needless to say, L-Dub students rose to the occasion.They wowed sixty visitors in our big room with their poise and confidence, and successfully managed to lead their tables through a hands-on problem solving exercise! We are so very grateful to our Trustees, past and present, for attending and inviting their friends to L-Dub. Our students wholeheartedly agree, making new friends feels really good. It was the collaborative and cooperative approach to problem solving at L-Dub that was most impressive and inspiring. The girls reflected confidence, passion, and responsibility for their learning – whatever subject – using local people, and other community resources to make connections to the subject area meaningful and personally relevant. The energy and passion for learning permeated the air molecules, I breathed deeply, hoping some of that inspired air would carry me through the rest of my day. See the rest of the G3 Luncheon photos here. Volunteers are the lifeblood of LWGMS; without them, it isn’t likely that we would be able to meet our goals and fulfill our mission. We are eternally grateful for the way volunteers enrich our community, and enhance the educational experience of our girls. But did you know that corporations are increasing the value of volunteers’ time with employee volunteer grant programs? Thousands of companies offer monetary grants to eligible nonprofit organizations when employees volunteer their non-paid time, seemingly doubling the value of a volunteer’s time. Alaska Air provides a volunteer grant of $10 per hour to qualified organizations, after employees volunteer at least five hours with an organization. In fact, hundreds of companies offer volunteer grant programs with donations generally ranging from $10-$25 per hour volunteered. 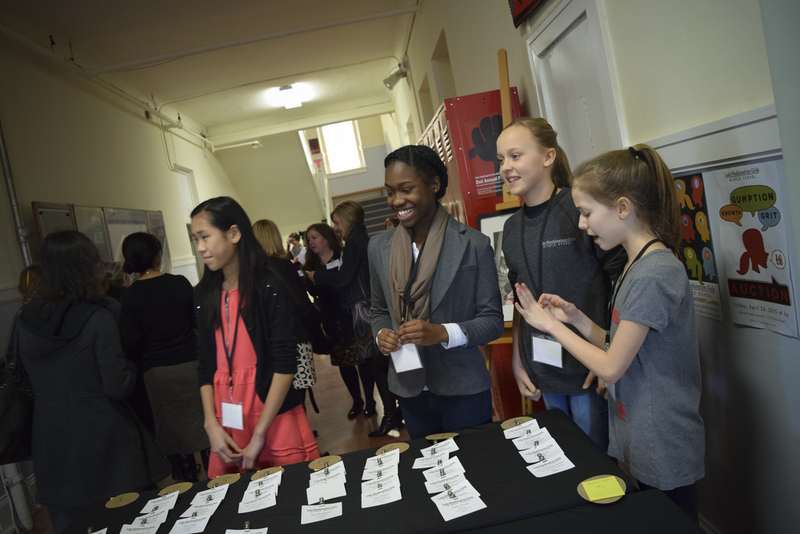 On October 13, 2014 – the Day of the Girl – fifteen ambassadors from the Intel Girls and Women initiative volunteered with us and exposed the Class of 2017 to STEAM in action (and strong role modeling!) 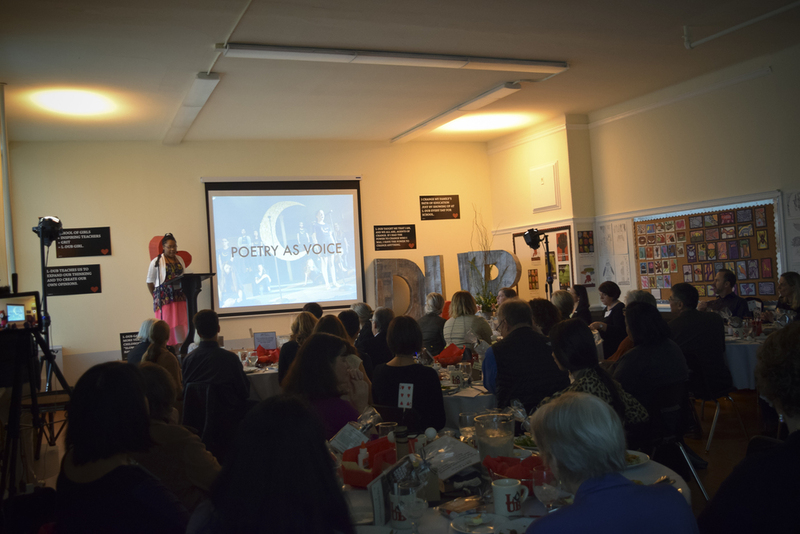 Thank you to Lizabeth Anderson, David Lin, Jane Mareth, Basu Nagarahalli, Carolyn Russell, Kirsten Spoljaric, Rex St John, Nadia Steere, Phillip Stephens, Allison Takeuchi, Kristan Weller P’15, Merrie Williamson, and Hope Yonemitsu – who not only wowed us with their awesomeness, but who are also directly responsible for a $2,000 volunteer grant LWGMS received from Intel. Both of these things – the volunteering and the grant – are no small things for our school, and we are very grateful. I want to change the world. Those words have become so common that they hold little meaning anymore. Before L-Dub I never questioned these words. Before L-Dub I didn’t know that I could effect change, that I could help the world just by being myself. I didn’t know that I didn’t have to wear a cape and knee high boots to really help people. In sixth grade, I remember my first Writing Workshop class. Ms. Eva gave us a broad writing assignment. One girl raised her hand and asked “How do we know what to write about?” Ms.Eva replied “Write what you wish the world could read. Write a piece that you would want to read.” That is how I want to change the world. Now you might be wondering what writing advice and changing the world have to do with each other. I want to see a problem in the world and change it. I want to help to fix the problems I wish the world didn’t have. But before I put on my cape and knee high boots and flew into the world and started helping people, I needed to learn how to help people. L-Dub taught me that my small actions not only creates change but serve as inspiration for others. Inspiring and teaching others is our most difficult, but also our greatest job as citizens of this beautiful world. Throughout my L-Dub experience I helped raise money for girls in developing nations, I worked in kitchens helping to feed the homeless, participated in events such as WE Day, and taught kids about endangered species. I have experienced how my actions help people first hand. My time at L-Dub inspired me to be an engaged, compassionate citizen in my community. 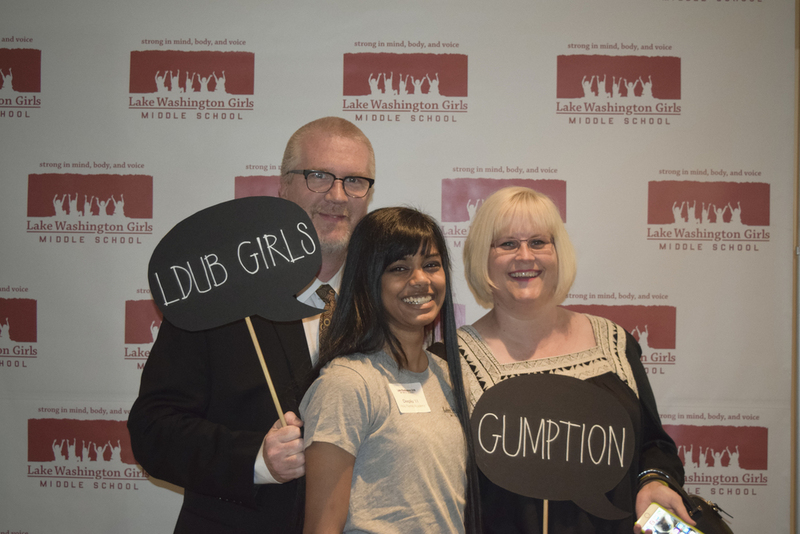 The Lake Washington Girls Middle School auction has always been a great way for our community to support the mission and values of our school — every single member of our community pitches in to make the event possible. We are so grateful to the many generous individuals and businesses who contributed items for the silent and live auctions, and for our sponsors. We are very proud to be recipients of their support. 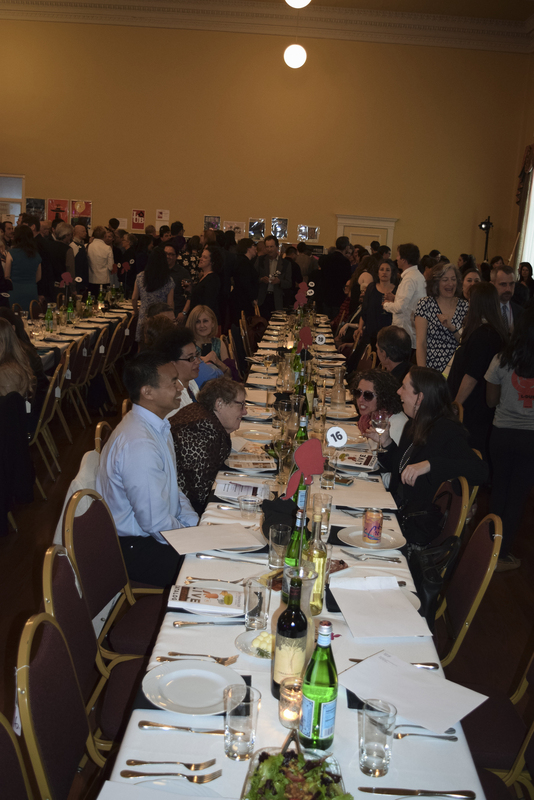 Our deepest thanks go out to our auction superstars who spent months behind the scenes planning the event, managing our auction database, and leading the way in finding and packaging the wealth of wonderful items you had the opportunity to bid on that fine evening. They were great leaders in the night's endeavor. Susie Bunker P’15, ‘18, Anne Gienapp P’14, ‘17, Allie Dworkin P’14, ‘17, Cheri Curson Bowles P’15, ‘17, Katharine Harkins P’15, Kia Akada P’16, Kelly Prime P’16, Rachel Stamm P’17, Jane Dauber P’17, Juli Russell P’17, Ray Caldwell P’15, ‘18, Chelsea McCollum, Jenny Zavatsky, Edwin Fotheringham P’12, Olympia Edwards, our alumnae and UCoop volunteers, Ben Jablonsky and Dawn James P'18 and the rest of the Pyramid Catering team, and Alex Higgins P'16 for emceeing the event. And thank you to everyone who supported our decision to change the auction venue at the last moment. By the time evening came, lights went down, and candles were lit, I felt like I had walked into the Hogwarts Great Hall for a magical celebration. There was a buzz of excitement and camaraderie in the air. 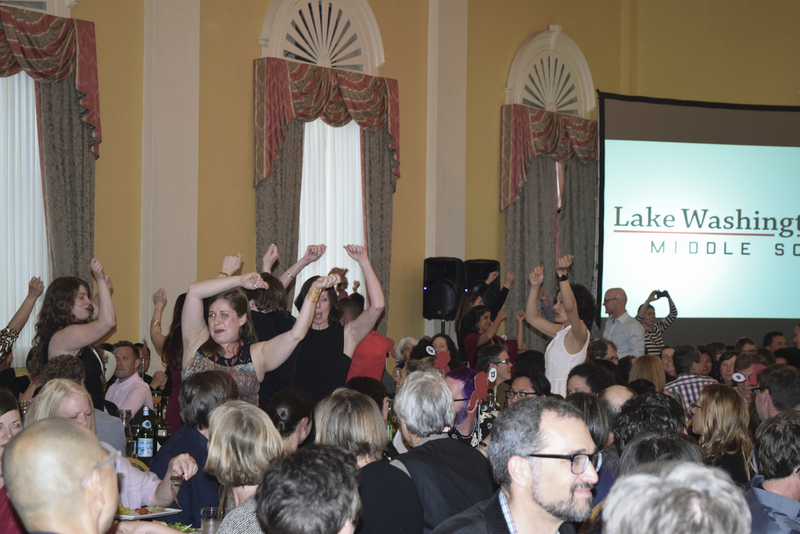 Auctioneer Laura Michalek added to the mood with her enthusiasm for the live auction items and her genuine appreciation for LWGMS. 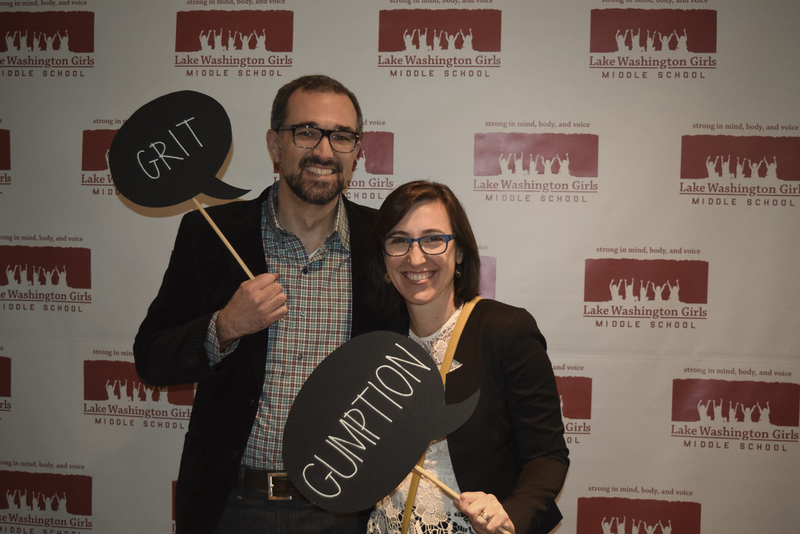 Everyone was there to support Lake Washington Girls Middle School in its mission, all were thrilled to be part of Grit and Gumption in action, and we left a closer community because it. Self awareness: Students’ self-awareness deepens when enhanced by the mindfulness practices of focusing attention and self-compassion. Self management: Mindfulness increases students’ emotion regulation skills, which enhances their ability to resolve conflict more creatively. Social awareness: Mindfulness increases students’ empathy by helping them to regulate their emotions rather than get emotionally overwhelmed when faced with a difficult situation. Relationship skills: Mindfulness increases compassion. Decision-making: Mindfulness increases cognitive flexibility and creativity, which gives students a wider range of responses to challenging situations. 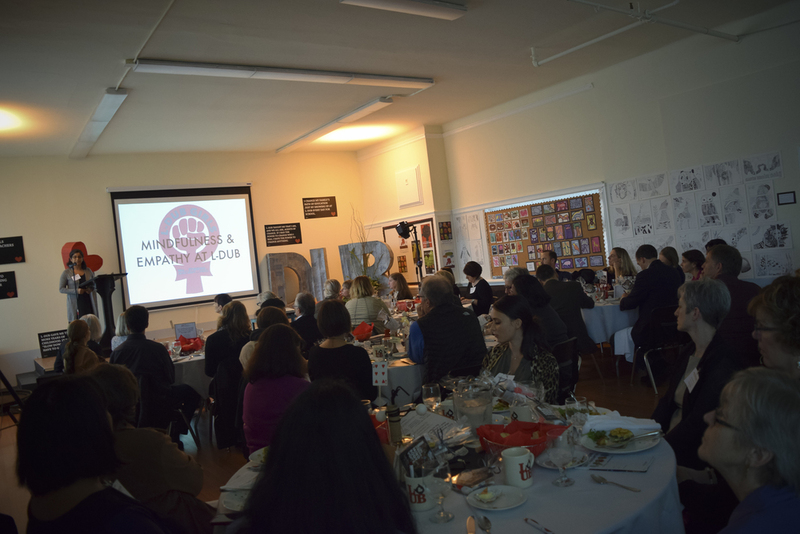 In 2014/2015, LWGMS's Class of 2017 was invited to participate in a wonderful program called Roots of Empathy – the pilot of the middle school version of this program in the Pacific Northwest. Roots of Empathy is an evidence-based school program that has shown significant effect in raising social emotional competence and increasing empathy; it has been in place for more than ten years across Canada and internationally and has engaged thousands of students in the elementary grades. The Roots of Empathy Instructors coached the girls in observing the babies and reading the cues the baby gives as to how the baby was feeling: “Is the baby happy or sad?” “How can you tell?” The group used this discussion as a lever for the girls to talk about their own emotions and to understand how their classmates feel. The Roots of Empathy Instructors visited the classrooms before and after each Family Visit to prepare and reinforce teachings, using a specialized lesson plan for each visit. This program continues today with the Class of 2018. ...and people clapped. They clapped, and they cheered, and when it was all over, I realized that my story is worth telling. That it’s worth investing in. And if my story matters, then the stories of other people must matter, too. This is what L-Dub does. Every L-Dub teacher is invested in the story of every girl. 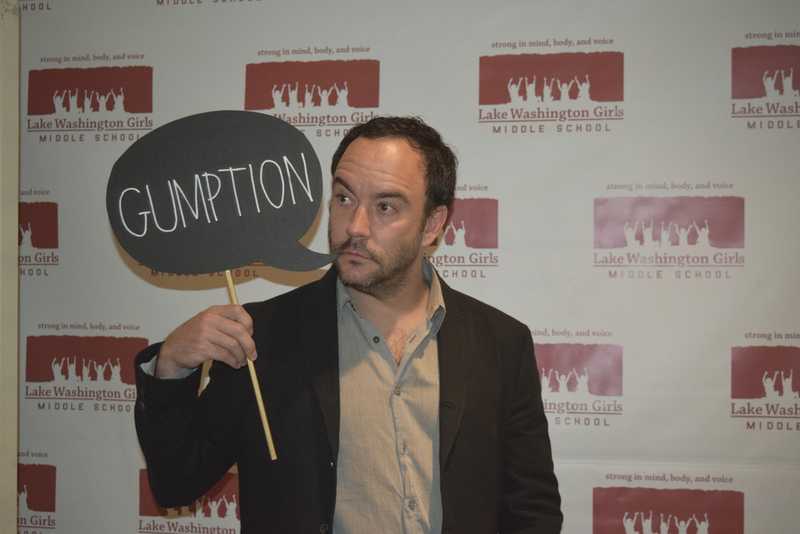 L-Dub is instilling deep compassion for the world in its students, and it does so by showing girls that their voices are unique and valuable. We ask a lot of our alumnae. We call on them to mentor current students, to help with Open Houses, to advise eighth grade students about transitioning to high school, and to share their experiences and insights with our community. 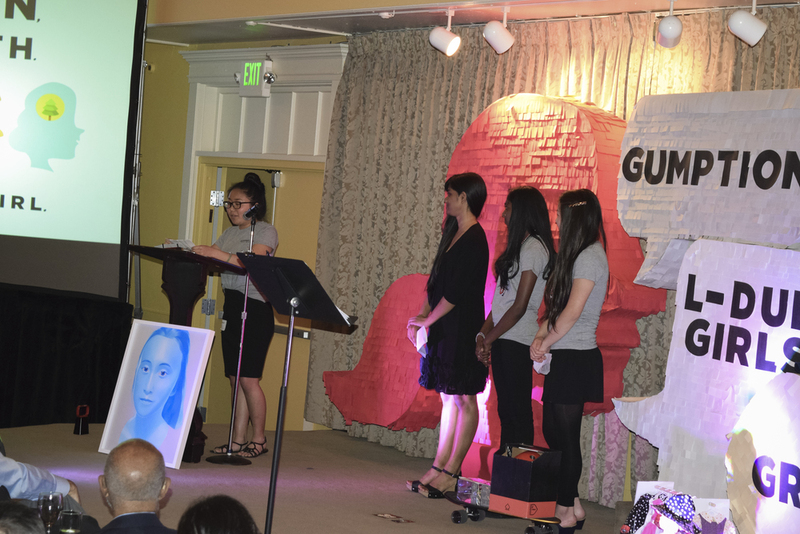 But – as you can glean from their words shared at our Annual Auction – sisters Maya and Grace remind us that L-Dub inspires our students and graduates to do much more. L-Dub girls are asked to “preach their speeches” and to share their compassion for the world in whatever setting and community they find themselves. We do clap and we do cheer, and we are so very proud of each and everyone of our students. Their stories inspire our teachers and our community to continue to invest their expertise, their time, and their resources so that every girl admitted has the opportunity and the confidence to “speak and act with intention”. I use the voice found at L-Dub to preach my speech. And I love it. I speak with intention and I speak so I may serve. As I look back on the year, it is no wonder our students graduate from middle school feeling emboldened and prepared for what is to come. 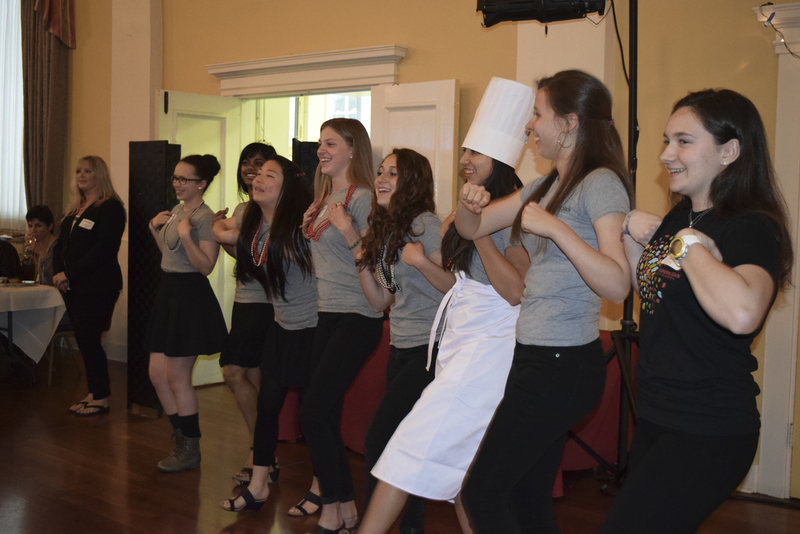 Students faced their fears on backcountry excursions, recited original poems in front of a crowd, practiced and performed their lines at the theater, and delved deep into their studies. Maya and Grace confirm for us what L-Dub is all about: a school where girls gain the skills, confidence, compassion, and strength of character to change the world. As I look forward to the coming year, I am filled with wonder and anticipation for what lies ahead. Strumming student-built guitars, cheering on our robotics team, and clapping as the curtain closes at the end of each one of our theater productions. Join me as I take stock of this amazing place we call L-Dub: the myriad of students and each of their unique and powerful stories. We are proud of our students, and we are determined to continue to celebrate, educate, and inspire many more of our community’s middle school girls. We know that this resolve requires more than determination. We know that to offer our school as a viable and compelling option to the vast array of girls in our city, we must deliver on our promises, and we must forge long-lasting, authentic partnerships with our supporters. It is with this energy and commitment we ask for your support. AmazonSmile is an easy and automatic way to support us every time you shop online – and at no cost to you. It’s super easy to get started – keep reading for all the information!